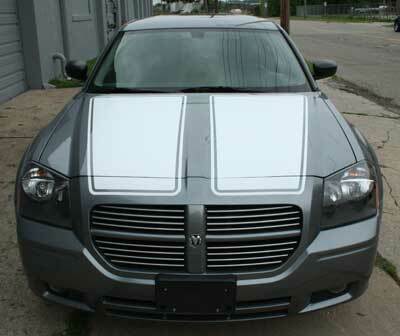 Give your Magnum that traditional look with this hood stripe kit.. This Stripe kit comes precut to fit the exact contours of the stock hood. The stripes have a 1/2" pinstripe along the outside edge.